There's a well-known saying that "there's no such thing as a dumb question" but I beg to differ. One of those truly dumb questions has to be, "Is a dolphin a fish? ", but that did not keep one my grandsons and I from having fun teasing each other with the answer a few weeks back. It was one of those quasi-arguments that bonds the generations! Of course, during our current times (2018), it doesn't take too long to pose any open question to one of our "smart assistants" and their varied answers were revealing. The Amazon Echo Alexa gave a nice, short, definitive answer. Apple's Siri found some reading on the web we might like to do. And the Google Home Assistant went even deeper than Alexa. I have to admit I prefer the "just give me the answer" approach rather than the homework assignment. And now back to that dumb question... The Miami Dolphins football fans often root on "the fish", and there is a popular gamefish called the "dolphin" - in fact I caught a few in the Atlantic some years back. 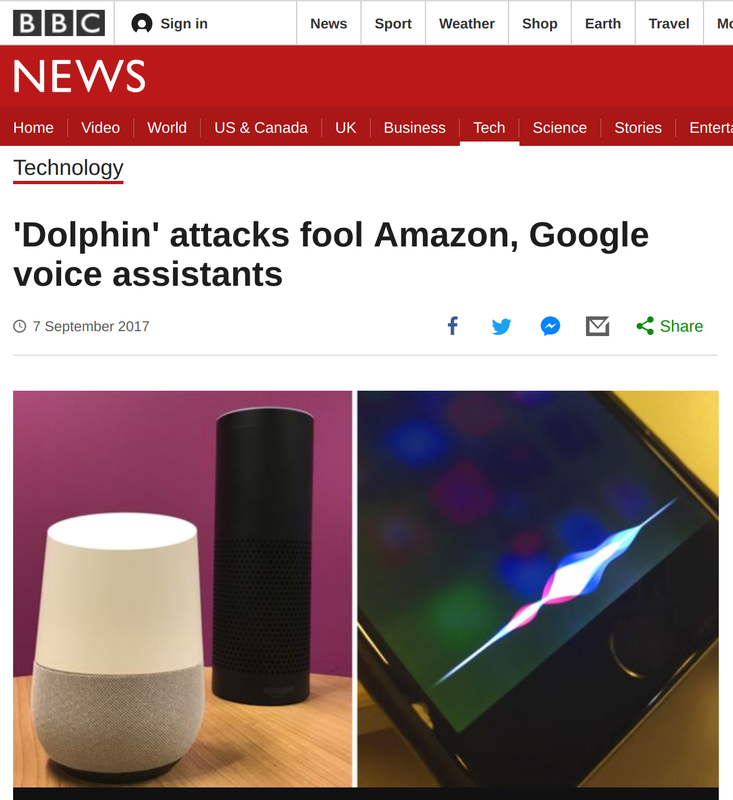 But beyond that, what of this smart-speaker connection with dolphins? Weirdly, in the scandal about these assistants being able to "hear" and respond to high-frequency voices beyond human hearing range, reference is made to "dolphin attacks"! Probably mostly random observations, but I find them interesting!